In today’s world, it is easier than ever to steal users IDs and passwords and use them to remotely access sensitive corporate and customer accounts. The ease of this leads to criminals targeting organizations of all sizes. Traditional two-factor authentication is costly, affects the user’s experience and is complicated to deploy. 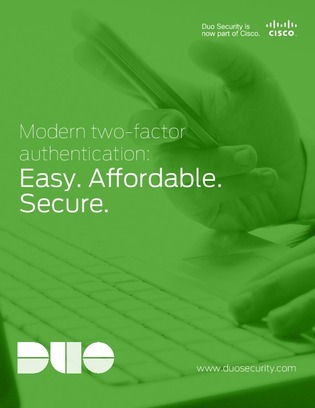 However, with the wide adoption of both mobile technology and cloud computing, deploying modern two-factor authentications may be a better choice for your company. Learn more in this document.